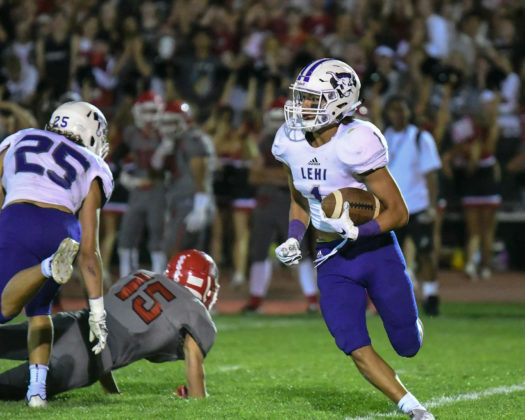 Lehi High’s football team started the game strong with a spectacular opening kickoff return from Jaden Greenwood. After fielding the kick inside the 5-yard line at the right hash mark, Greenwood cut hard to his right and sprinted behind a wall of blockers down the Pioneer sideline before being tackled near the American Fork 20-yard line. The Pioneers were unable to take advantage of the excellent starting field position on this possession and turned the ball over on downs. The opening drive was representative of the entire game for Lehi. 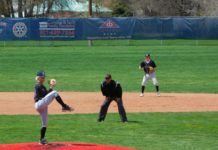 Throughout the game, the Pioneers moved the ball, but were unable to maintain critical drives. At the end of the third quarter, the game was close, with the Cavemen leading 17-14. However, American Fork controlled the fourth quarter, winning the game going away 31-14. American Fork scored late in the first quarter on a pass over the middle of the field. The Cavemen receiver held the ball despite being upended as he caught the pass at the goal line. Lehi tied the game early in the second quarter when Hayden Betts hit Gentry Cox on a slant route in the end zone for a 12-yard touchdown pass. 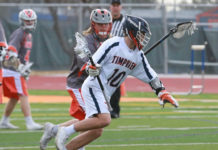 The game remained tied 7-7 at the end of the first half. Lehi took a 14-7 lead with 8 minutes remaining in the third quarter when Betts hit Cox again – this time for a 27-yard touchdown pass. After catching the ball in the flat, Cox juked one defender and had another holding onto his legs as he dove into the end zone for the score. The Pioneer lead was short-lived. The Cavemen tied the game only three plays later. Then American Fork took the lead, 17-14, on a field goal late in the third quarter. The Cavemen added two more passing touchdowns in the fourth quarter, winning the game 31-14. 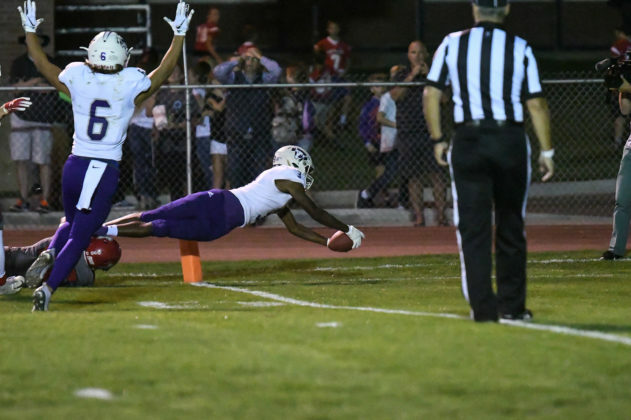 The Lehi defense had three takeaways on the night. Defensive back Oakley Krumvieda had two interceptions. One in the second quarter and another in the fourth quarter, bringing his total to three in the last two games. 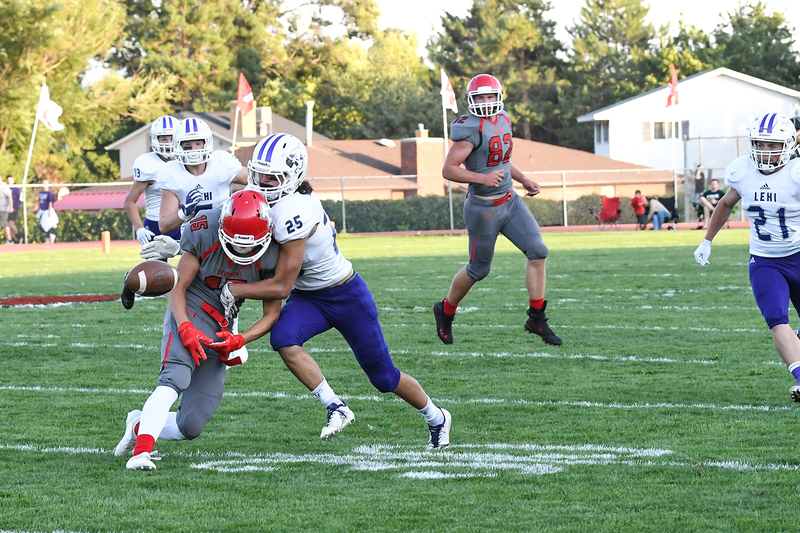 During the third quarter, linebacker Dallin Green stripped the American Fork quarterback as he was running downfield and Jacob Vasquez recovered the fumble. Vasquez had an outstanding game defending against the A.F pass and run. 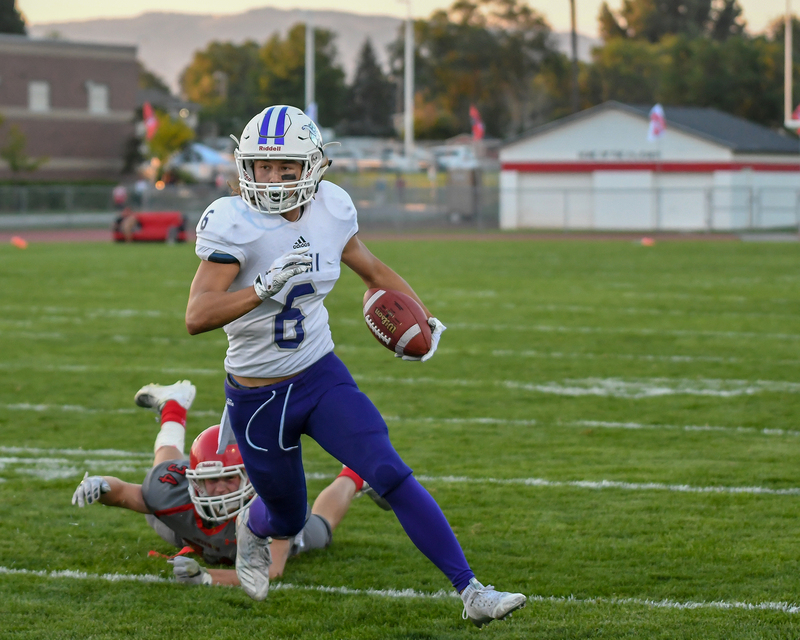 Lehi next faces the Springville Red Devils on the road, Friday at 7 p.m. The Red Devils are also 1-2 on the season. 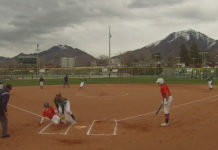 They traveled to St. George defeating Dixie on week 1, and then lost to both Spanish Fork and Sky View at home.